Barbara started her career as a physical education teacher and now teaches a range of subjects at a primary school on the outskirts of Rome. She is also in charge of the school’s public relations and the organisation of a wide range of educational events for students. Some of her many projects include summer camps for needy families; the televised show “Parents and Kids Band” during the White Night of Museums in Rome; a project on Italian and Kenyan food recipes in collaboration with the UNHCR; and the television newscast “Tg School” which put her students in charge of filming and doing interviews. Her most recent project is a twinning of 10 schools between Rome and Paris in partnership with the University of the Sorbonne. This project has developed out of an exchange program and associated online contacts between her school, Istituto Comprensivo Frignani, and a Parisian primary school, Ecole 28 rue St. Jacques, which has been running for four years and has demonstrated clear benefits. After the exchange trip, during which they are supported by student “tutors” from an Italian middle school, the 7-year-old pupils are noticeably more autonomous and curious, show a higher level of interest in studying languages and use online tools confidently. Barbara has also established initiatives that create stronger ties between the school and its suburban community and between generations. For example, the school has invited grandparents and parents to raise plants with students in its garden and then sell them to raise funds for the school. 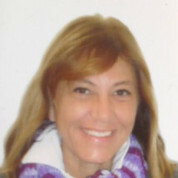 In recognition of her work, Barbara received the award of Merit of the Italian Republic as the best teacher from President Giorgio Napolitano in 2010. Join the #TeachersMatter movement by sharing Barbara Riccardi’s update.